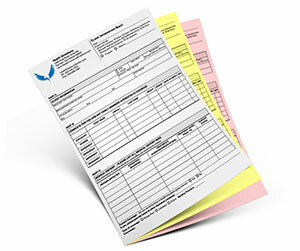 PrintingBlue.com.au designs and manufactures 2 part carbonless forms that are in great demand by the business industry. 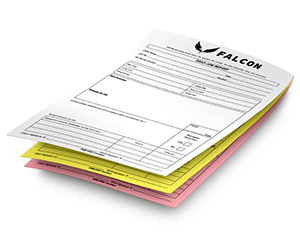 Our custom 2 part carbonless forms are used for sales orders, tickets, reports, slips, school and university forms, contracts, purchase orders and a lot more. 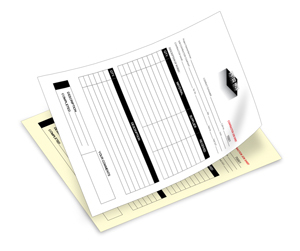 Basically, carbonless forms printing aid in promoting the corporate identity all over the place. 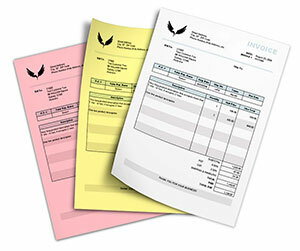 We are an online 2 part carbonless form printing services company serving its customers for several years.  We do not compromise on the quality and we offer the best possible solutions to our clients. For buying our exclusive 2 part carbonless forms, you may connect to our 24/7 customer support representatives, who are efficient and proficient for handling all your queries. Once you put a request, they immediately pass it to the design department. Design plays the most vital role for the overall effect of the product. 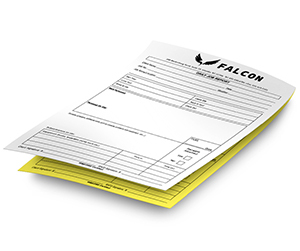 Our skillful and focused graphic designers provide extra ordinary printing designs for 2 part carbonless forms, 3 part carbonless forms and 4 part carbonless forms, that catch the attention of the clients. We provide profitable and time saving solutions for our respected customers. 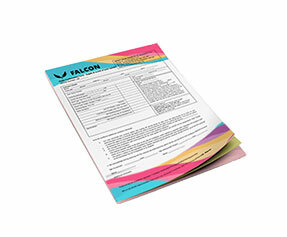 In this regard, we offer free design and lamination (gloss and matte) services. Other then these, we offer free unlimited design revisions so that our clients may select from the given variety of designs. 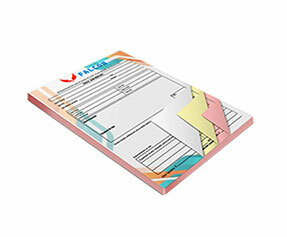 Once the design is chosen by the client, the order is transferred to the printing department. 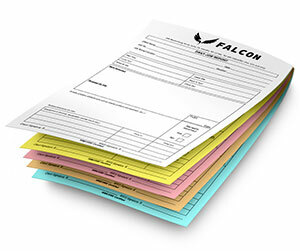 We provide the finest quality products by printing the 2 part carbonless forms and specially 5 part carbonless forms using the full colour CMYK/PMS (Pantone Matching System) printing process. This process produces vivid coloured 2 part carbonless forms that are nice-looking. 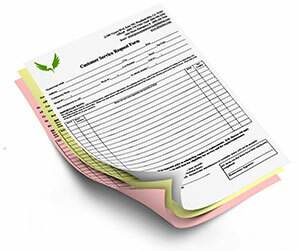 After printing the 2 part carbonless forms, the printing department moves them to the shipping department. 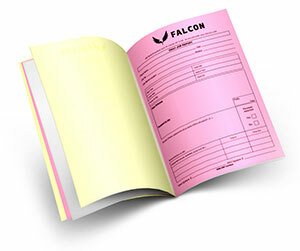 Our shipping department is very responsible and tries to deliver your personalized 2 part carbonless forms in time. We send your business products at the specified location. Our shipping services are free for our esteemed customers. 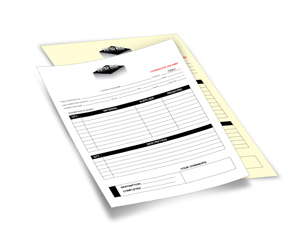 These 2 part carbonless forms are trendy and help companies to find out the duplicate copies of invoices or receipts without using electronic devices and in the most efficient way. 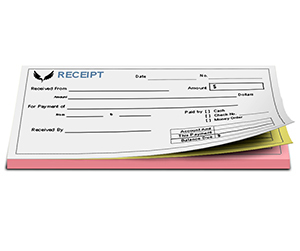 We want you to try our custom carbonless forms and experience the ease of providing the receipts to your clients in the speediest way.